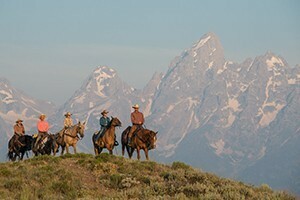 Discover remoteness, beautiful scenery, and superb hospitality in Grand Teton National Park by staying at a local ranch. 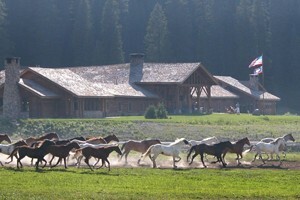 Take part in an authentic western experience at Grand Teton Wyoming Dude Ranches. 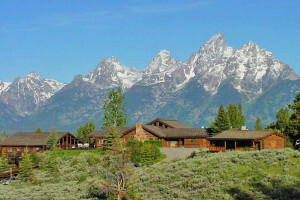 Or plan the perfect getaway by staying at Grand Teton Wyoming Guest Ranches. 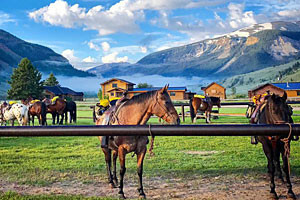 Nothing quite beats the accommodations, delicious food, unique family-based activities, and gorgeous mountain scenery that you'll encounter at nearby Grand Teton Wyoming ranches. 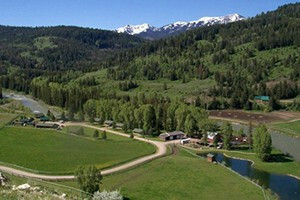 Flat Creek Ranch – Rated #1 by TripAdvisor! 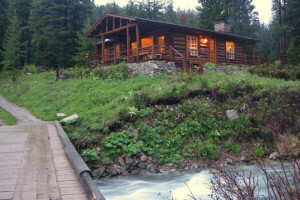 Stay at our historic wilderness ranch & enjoy elegant cabins, gourmet cuisine, legendary trout fishing, hiking & horseback riding. Open June-Sept, 3 night minimum. Our ranch house can comfortably fit 12 people with five bedrooms, three bathrooms, two living areas, a dining room & a fully equipped kitchen - perfect for large parties. 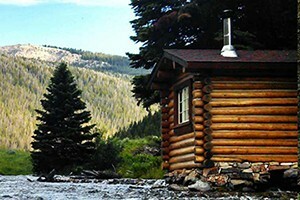 Moose Creek Ranch offers comfortable, spacious options for families or large parties. Enjoy our outdoor fire pits, games and of course scenic mountain horseback rides!